Insomnia refers to the inadequate of quality or quantity sleep, presenting difficulty falling asleep, frequent awakening, early morning awakening or complete sleepless for the whole duration. It can affect up to 95% of the population at some time in their lives. Causes of insomnia include psychiatric disorder (anxiety and depression), drug/ alcohol abuse, pain, chronic respiratory diseases, frequent night urination or noise, etc. 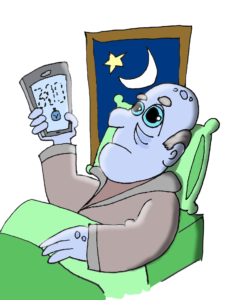 Insomnia for long term will lead to headache, memory problem, fatigue and increased risk of heart disease and accidents. Various sleeping pills can help with insomnia and are very popular as they are very effective to start with. News from TV3 in 2012 also revealed that 42% increased usage of sleeping pills in the last 5 years in NZ. However, side effects, including drowsiness, clumsiness, and tolerance & dependence, tend to appear after medium or long term use. One US study even linked sleeping pills to up half a million deaths a year in that country. Acupuncture has a long tradition of treating insomnia successfully, especially in the elderly. Clinic review suggests that acupuncture improves sleep quality and increases sleep duration, at least as effective as conventional drugs without their side effects. Generally, acupuncture is believed to regulate nervous system to release the neurochemical substance and improve well-being. It can increase the nocturnal endogenous melatonin secretion, nitric oxide synthases activity and content to regulate sleep. With the proven effect in pain management, acupuncture also regulates sympathetic nerve and brain’s neurotransmitter chemistry to relax the body and reduce anxiety. Recent research in 2013 reveals that acupuncture can improve sleep quality by significantly increasing EEG slow wave (delta) and reducing the fast wave (alpha & beta). Another research in the same year on a group of women aged between 50-67 years old also concluded that a period of 5 weeks acupuncture treatment improved quality of sleep for those who suffer insomnia in postmenopausal stage. Ancient Chinese held that “qi” was the original state of the universe and the motion and variation of “qi” produced two poles known as “yin” and “yang”. TCM also believes that the human body is an organic whole and all organs can function well when “yin” and “yang” is balanced inside body. Insomnia, however, is a symptom with underlying imbalance, such as ‘Yin vacuity and fire effulgence’. TCM also holds that heart is the major organ that controls mind while other organs also participate mental activities. Therefore, insomnia is not just the problem for the brain. It can be the dysfunction of heart, liver, spleen and kidney, even gallbladder due to prolonged emotional upsets, overstrain, chronic illness and improper diet, etc. The most common patterns in the acupuncture clinic include deficiency of heart and spleen, yin or blood deficiency and depressed liver. Acupuncture treatment focuses to regulate balance between organs to calm the spirit. Needling with microsystem (ear acupuncture) is one of the most popular methods although moxibustion and electro-acupuncture also can be used according to the syndrome differentiation. Usually, one course takes up to 12 treatments over three months for people who suffered insomnia for long time. Treatment starts two times a week for about a month, then reduces to one time a week for another two months. Herbs and dietary supplement also can be added to enhance the treatment effectiveness according to the individual conditions.